What are the links between economic status and HIV vulnerability of girls and young women? What is the role of economic empowerment in preventing and mitigating HIV among girls and young women? The report also summarizes general principles that should apply to programs and policies aiming to address the vulnerability of girls in a context of poverty and HIV. Copyright 2010 International Center for Research on Women (ICRW). 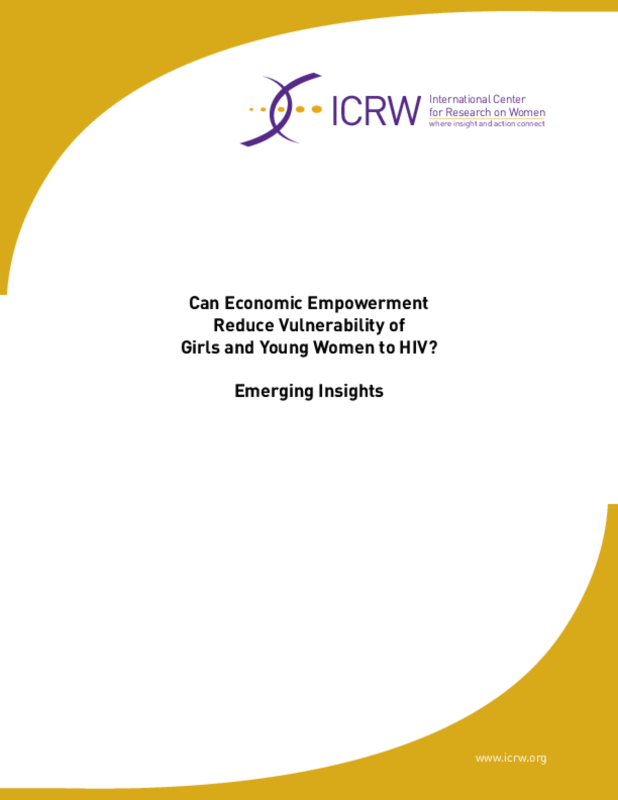 Title: Can Economic Empowerment Reduce Vulnerability of Girls and Young Women to HIV?